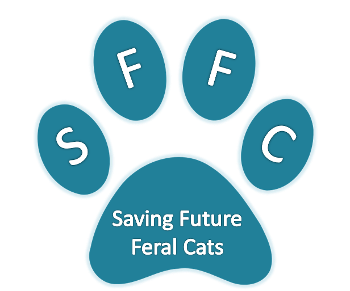 Making a difference to save feral cats in your community is as easy as changing attitudes and promoting policies that protect the lives of felines. Many people don't know that countless cats and kittens, especially community cats or unweaned, neonatal kittens, don't have a chance at life in many shelters. Research reveals that 7 out of 10 cats who enter the nation's shelter system are euthanized. We can change this by creating feline friendly communities. Embrace new programs and policies that save cats lives by promoting spaying and neutering of all cats, community, feral and pets. Educate your friends and family of the importance of spaying and neutering. We have the power to make a difference! Creating a feline-friendly community is a group effort. We encourage you to work with other individuals and the community at large to set the foundation for long-lasting change. 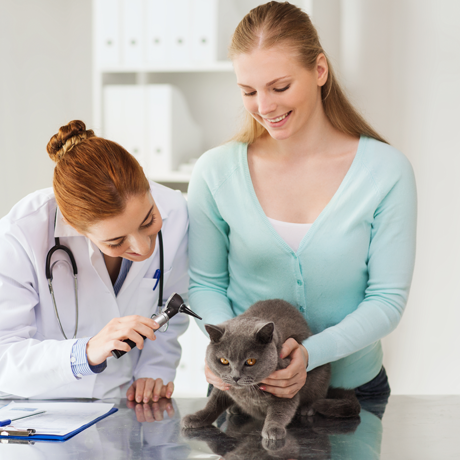 Work with your local officials to adopt policies or pass laws that protect cats and their caregivers. Without population control of feral cats in your community, the environment becomes unstable and unsafe. With more cats, comes more struggles over the finite resources they have to fight for. 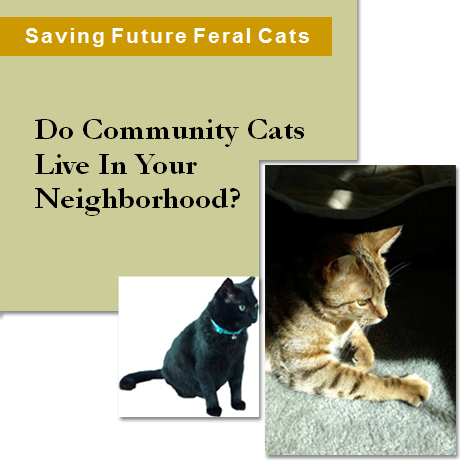 Reduce the number of feral cats and improve their lives by TNR. Please vaccinate, microchip, spay/neuter your own cats. Enjoy the company of kittens, felines, and fellow cat-lovers when you volunteer with us at Saving Future Feral Cats. Being a volunteer with our organization is a great way to learn marketable skills that will help your career. Some of the volunteer tasks are helping with fundraisers, cleaning, feeding, socializing, fostering and assisting with adoption shows and veterinarian trips. If you'd like to hang out with cats all day, this volunteer opportunity is perfect for you. If you are a passionate animal-lover, we'd love for you to join our team. All volunteers must be over the age of 18 years old. In the interview, we may ask questions regarding your past history with animals. Contact us for a volunteer application.